Cenote Diving in Mexico - What's Katie Doing? We dove with Playa Diving Center – Lluis knows them well and we went with his friends. 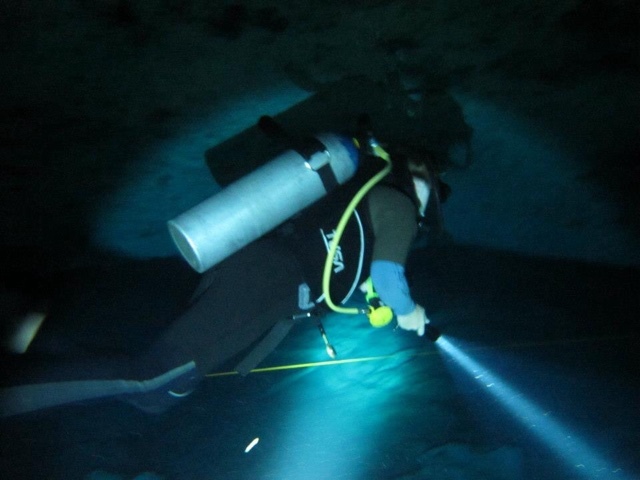 The boys are proper cave divers – the first time I’ve seen two tanks used on a dive. 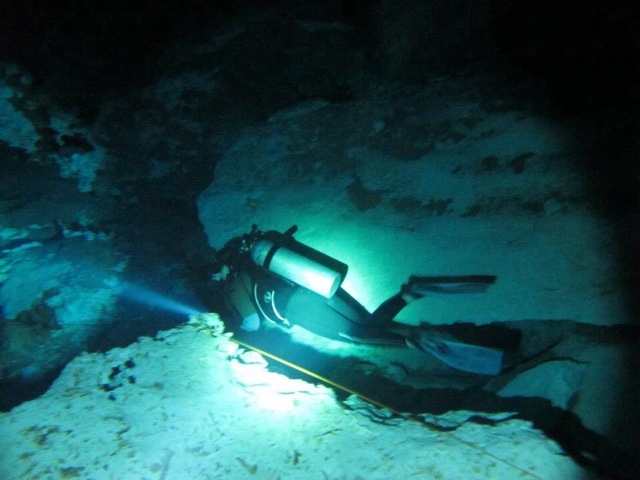 Everything has to be fail safe with cave diving, less so for current diving in the cenote when you can see the surface of the water. 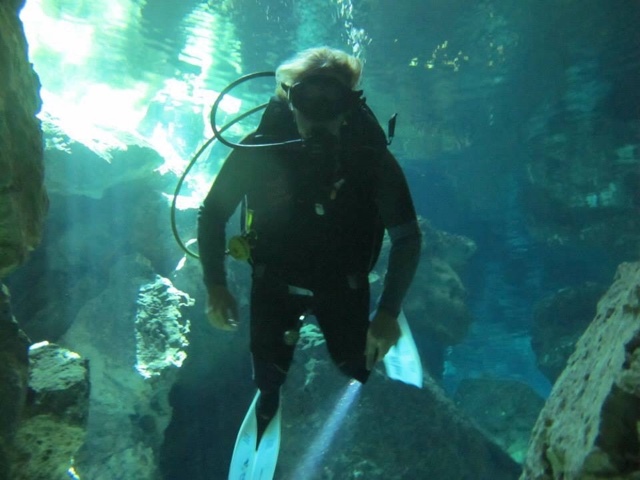 You start out in the freshwater cenote at the surface and then follow the lines set in the cavern – this way in case of emergency you can always find your way out. See the line?! 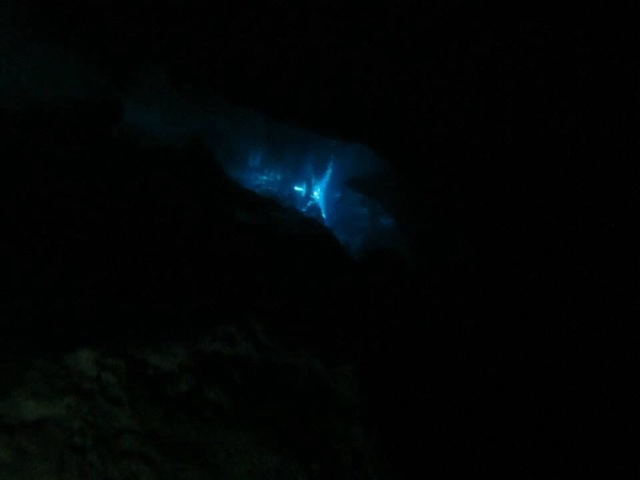 We all had torches too – to see into the dark depths of the cavern from our positions near the cenote. 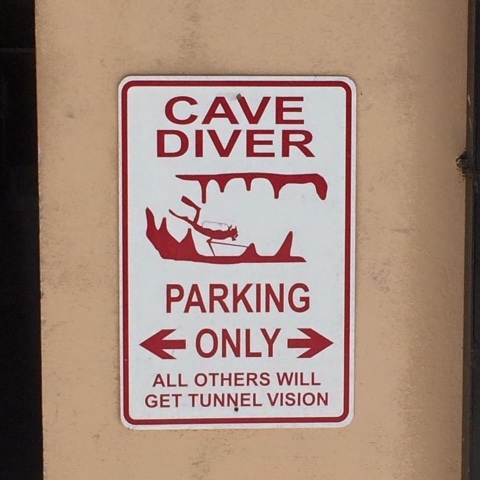 I probably should have explained – cenote is the Spanish word for sink hole. These can be freshwater or sea water and occur in limestone areas (we have some in England – but a lot colder and they aren’t usually full of water). 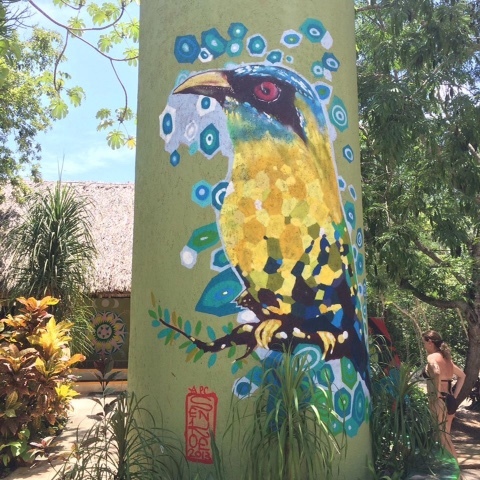 The water in the cenote was 23 degrees, but I still got cold wearing a long wetsuit with a shorty over the top… The water is refreshing if you’re on the surface and lots of the cenotes let people come swim or snorkel – so you don’t need to be a diver to enjoy them. The most interesting thing is when you see fresh and salt water mixing – it looks like your eyes are blurring as the light from the torch refracts differently with the salt water – freaky! Lluis took this shot looking out of the cavern at the light from the cenote entrance – the cenotes are usually full of vegetation and roots. I saw little fishes swimming close to the surface – but there is not the same wildlife as a reef dive in the ocean. For proper cave diving some of the rock formations they see are amazing, Lluis showed me pictures, but I don’t have them to share with you. 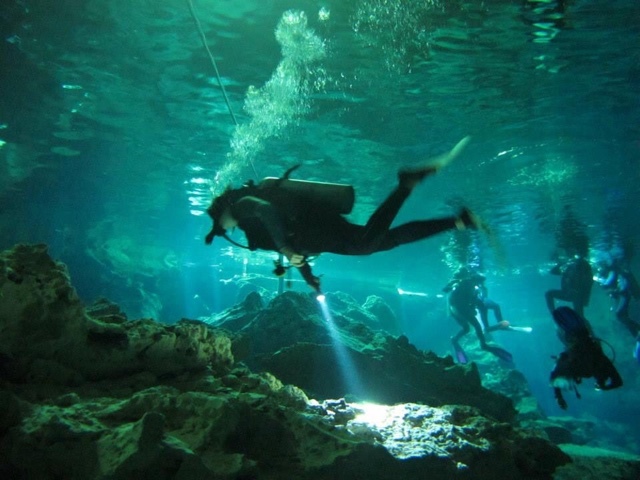 Find out more at Playa Diving Center where they know all the famous cenotes in the area. It was great Sadhvi! Not sure I could have done actual enclosed cave diving but the cenote was amazing!